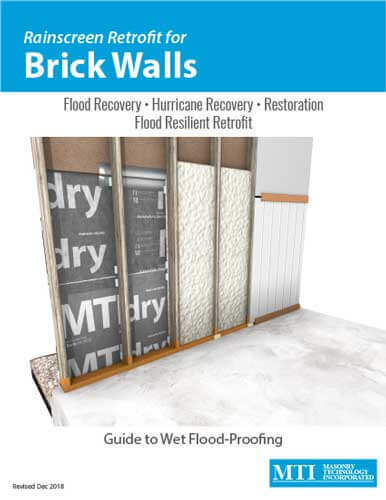 Creating a drainable, dryable wall with water tolerant materials is an economical way to reduce the impact of future floods and achieve a higher performing building enclosure. 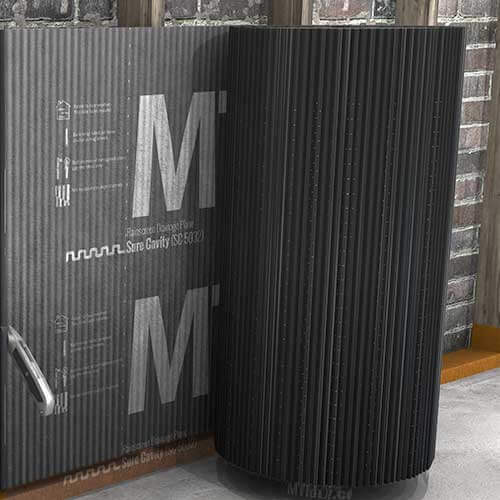 In addition to using materials that can simply be washed down after a flood event a good system addresses concerns about moisture, structural strength, and thermal performance. "The system is easy enough that a homeowner can do the prep work, install the Sure Cavity rainscreen on their own, and then have spray foam contractor come in to do the insulation. Moisture Concerns - Keeping walls dry and helping them dry out after a flood is essential to flood resilient walls. 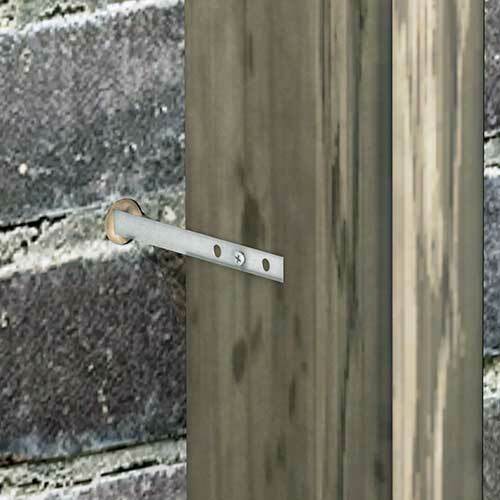 A continuous, vented rainscreen air gap with Sure Cavity™ behind the exterior veneer is a best practice approach to preventing incidental moisture issues. Structural Considerations - Flood water contaminated sheathing (OSB, gypsum) must be removed, but it is essential that the racking resistance is restored. Applying 2lb density closed cell spray foam in the stud cavity resists racking and provides water-tolerant insulation. Addressing Mold - Mold is a serious health concern in flooded areas that requires proper personal protective equipment and mitigation. Apply a paint-based fungicide to walls, studs and insulation surfaces to kill mold and pre-treat for mold in future floods. In modern brick walls, the brick itself isn't structural. The brick veneer is mechanically anchored or tied to the backup framing to keep it in-plane. Brick ties or wall ties are typically fastened to studs and embedded in the brick mortar, but many homeowners have discovered that the original brick ties are in poor condition, or missing altogether. MTI's Retrofit Brick Tie™ is installed from the interior of flooded walls using commonly available tools and anchoring epoxy to anchor the masonry veneer back to the structural framing. Maintain a clear air gap between the brick exterior and closed cell spray foam. Sure Cavity ensures the back side of the brick wall can drain and dry. Note: Sure Cavity product literature indicates the fabric should face the weather. However, in interior retrofit applications, the fabric separates the spray foam from the corrugated plastic. Replace missing or damaged brick ties from the interior. Easily installed with an anchoring epoxy.